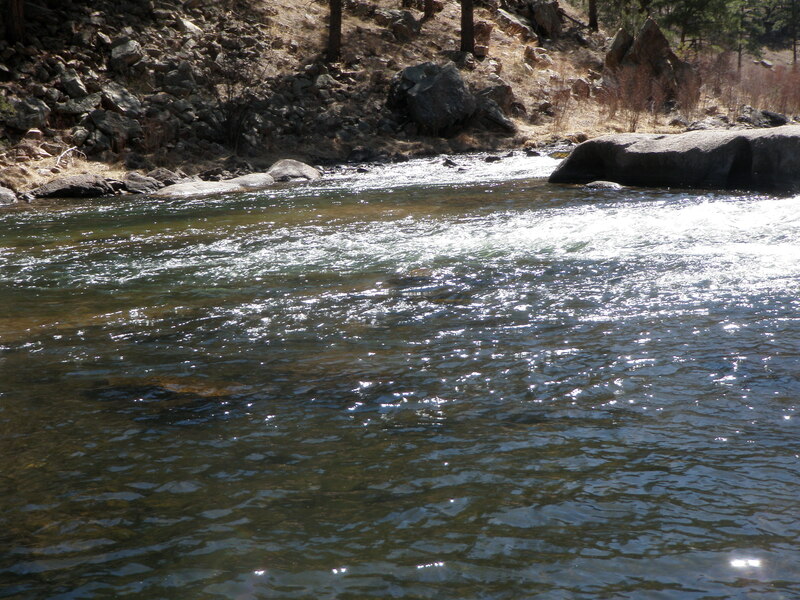 Reports on the Arkansas River looked promising as the low level snow melt was over and water clarity improved. Wednesday’s high was supposed to be mid-70’s, and then four days of cool and possibly damp weather after Wednesday convinced me to make the trip. 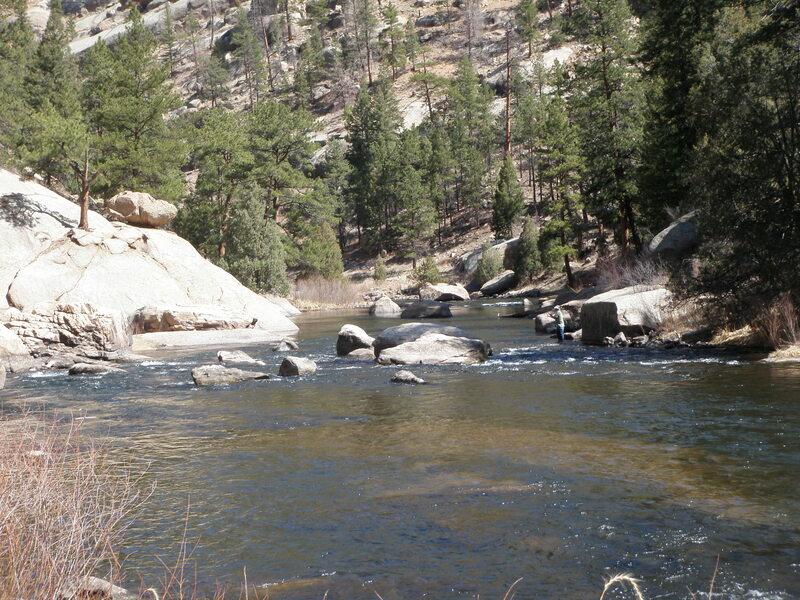 I arrived at the Arkansas River above Pinnacle Rock and began fishing at around 10AM. The sun was out and the sky was blue but wind was an issue. I hiked up the road and spotted two fishermen in a spot where the braids merged. I went further up the highway and then dropped to the river and crossed two channels and cut through the willows to a spot on the north braid. I was only 20 yards or so above the other fishermen, but they couldn’t see me. I tied on a Chernobyl ant and dangled a bright green caddis pupa, but this wasn’t drawing any interest. I switched out the Chernobyl for a yellow Letort hopper on top, and still no interest. There were thousands of caddis on the willows along the stream, and they occasionally fluttered and dipped on the water. It was obvious that the caddis had already emerged in this stretch. I decided to go deep with a split shot and strike indicator so I could generate more movement on the flies subsurface. 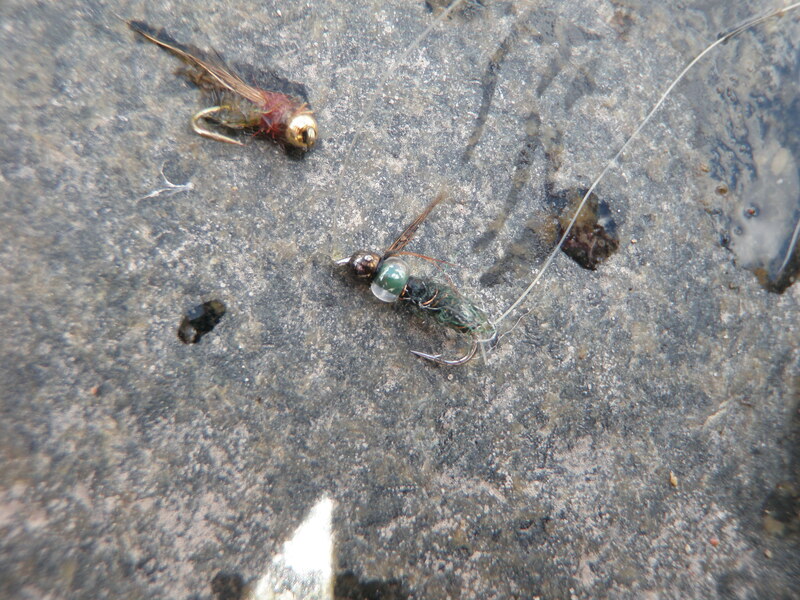 I tied on a beadhead prince nymph as the top fly and added a beadhead bright green caddis pupa on the point. 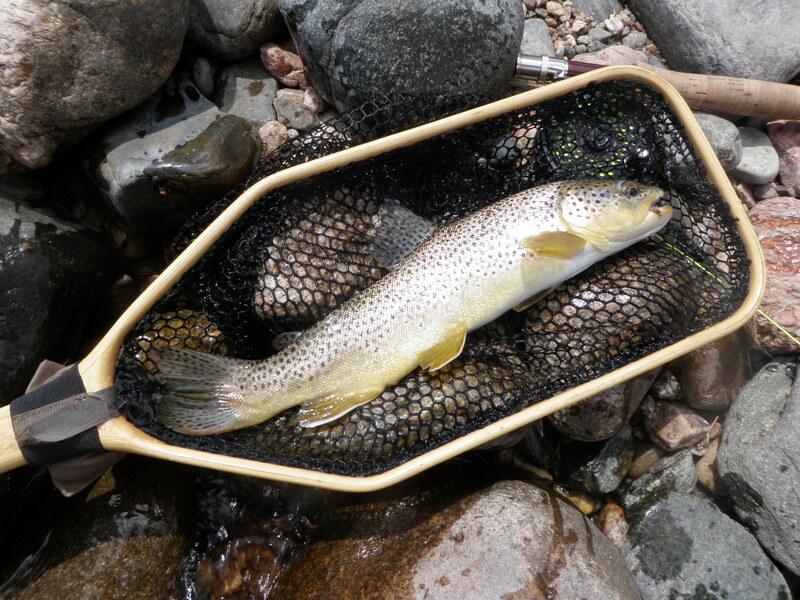 This proved to be the ticket and five browns grabbed the prince as I prospected up the north braid. After covering a small amount of water, the two fishermen rounded the corner and asked if I planned to fish upstream. I nodded emphatically, and then they asked where I’d begun. I informed them, and they jumped in below my starting point. I continued quite a bit upstream and near the point where I stopped for lunch, had a sharp strike on the first cast into a nice little pocket above a split in the current. I set the hook and the line flew back to a bush. When I retrieved the line, I realized I’d snapped off the fly in the fish’s mouth. I hiked back to the car and decided to drive upstream to Texas Creek to hopefully get to a point where the caddis were about to emerge. I parked in the lot across the bridge and immediately scrambled to the river and shook some willows. Very few caddis flitted from the branches. I ate my lunch then hiked down the bank along the river further than I’d ever gone before to some nice water where the river widened out. 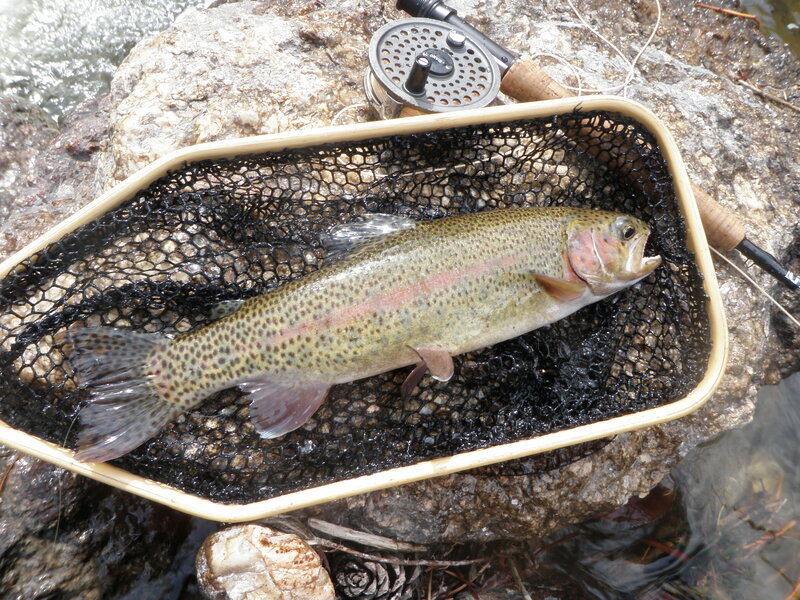 I stayed with the nymphing set up but went back to the bright green caddis and a gray wet fly. I was assuming I was fishing water where the trout would be focused on emerging caddis. I got snagged several times and ripped off quite a few flies before finally catching a decent brown on the bright green caddis pupa. During this time, the wind began to gust so strong that I turned my back and held my hat in place. The sky clouded up for periods and the caddis on the willows began to swarm and dap the surface. 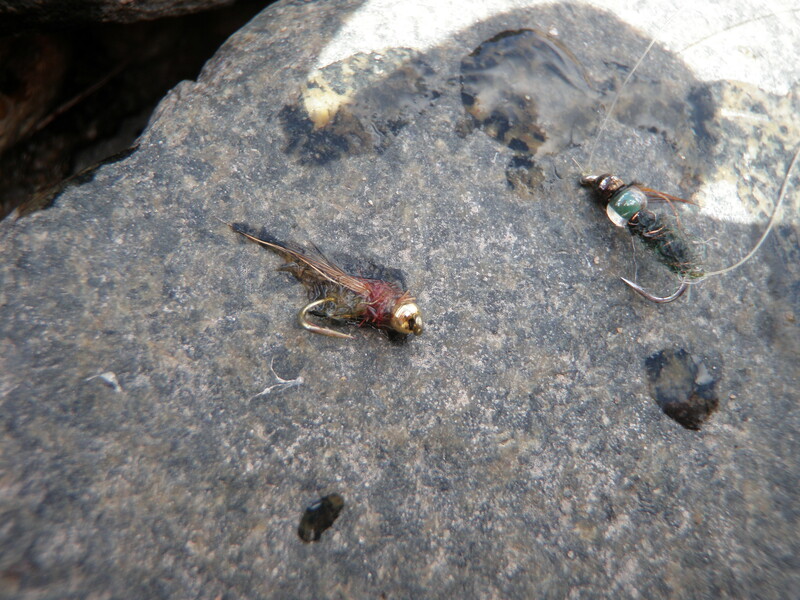 Apparently I was wrong, and the caddis had already emerged in this stretch as well. I decided to go back to the prince nymph, and this proved to be a great decision. 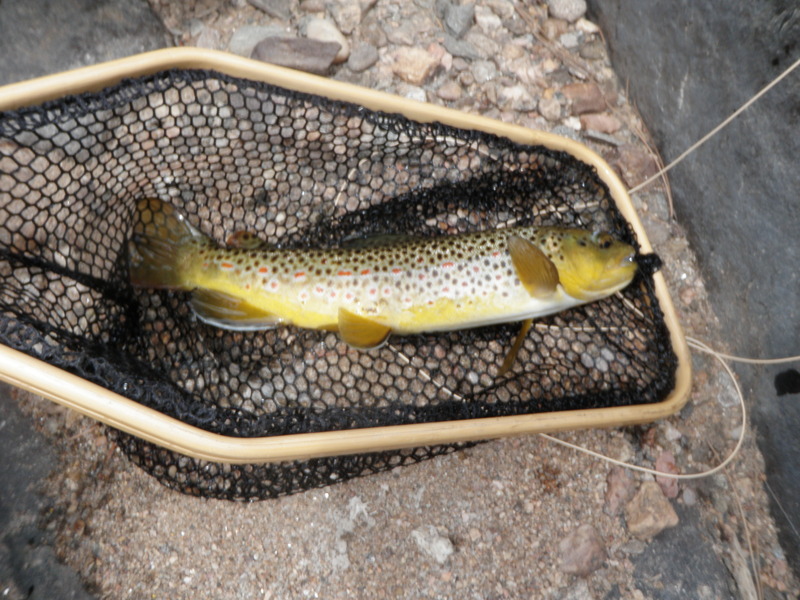 During the afternoon I picked up another eight brown trout, several quite nice in the 13-14 inch range. The fish were in the deeper pockets and runs just off faster currents. When I reached the island near the confluence with Texas Creek, I fished along the south side of the island to the top of the island. There was another fisherman at the top so I circled back to the bottom and fished up the right channel. The same fisherman was at the top of the run waving at me as I approached. I finally figured out that he was telling me in sign language that his hat had blown off and was floating down the river toward me. I scanned the water but didn’t see anything. It was now around 4:30, so I decided to call it a day and head home. Jane agreed to accompany me back to the Big Thompson so we could shop in Estes Park for a wedding gift for our nephew. We arrived in Estes Park around 10:30 and did some shopping then stopped at Subway and picked up sandwiches for lunch. 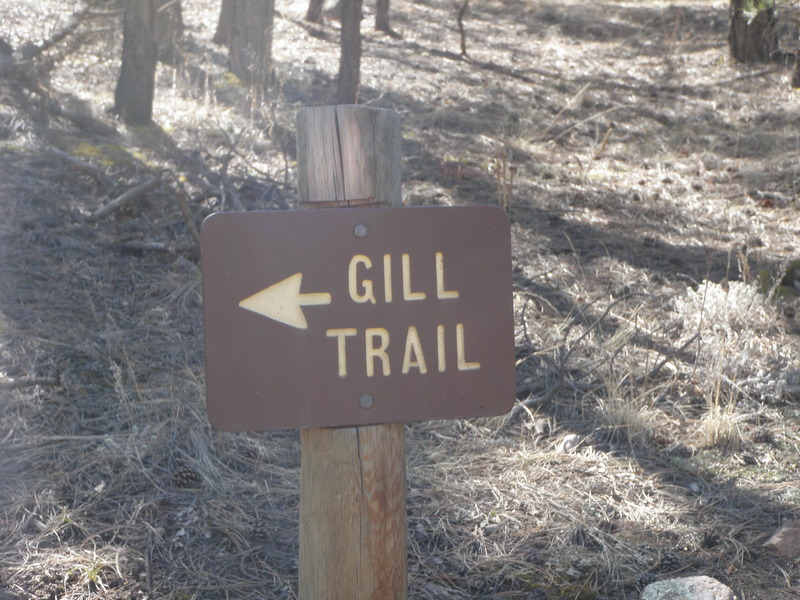 We drove down along the Big Thompson and stopped where I’d quit on Thursday. I ate my lunch and prepared to fish. The weather was cool with temperatures in the low 60’s or upper 50’s and partly cloudy and breezy. The flows were up a bit from Thursday at 52 cfs and the water had a bit more color. I walked down along the highway and descended the bank to where I’d exited on Thursday. Jane accompanied me and took the camera while I hooked a rainbow in short order on a beadhead pheasant tail. 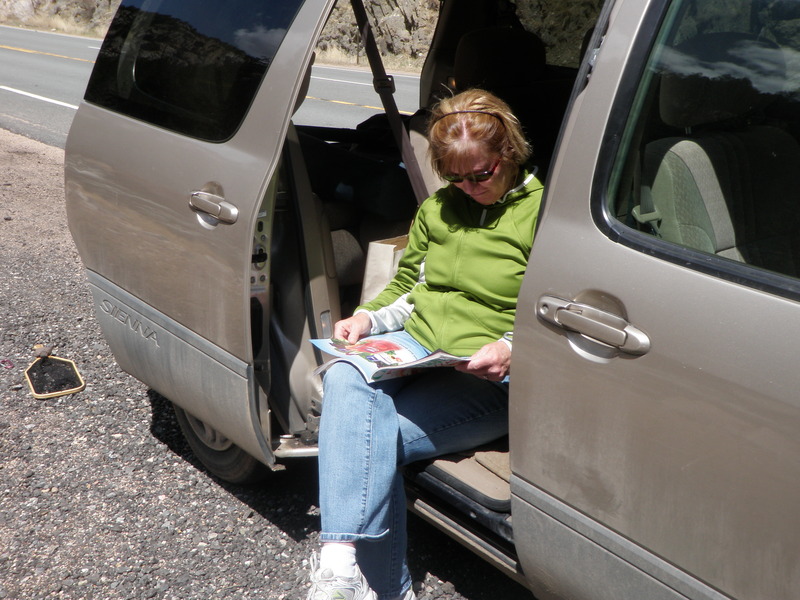 Jane took several photos and then headed back up to the minivan to read while shielded from the wind. I was fishing a yellow Letort hopper and trailed a BHPT. 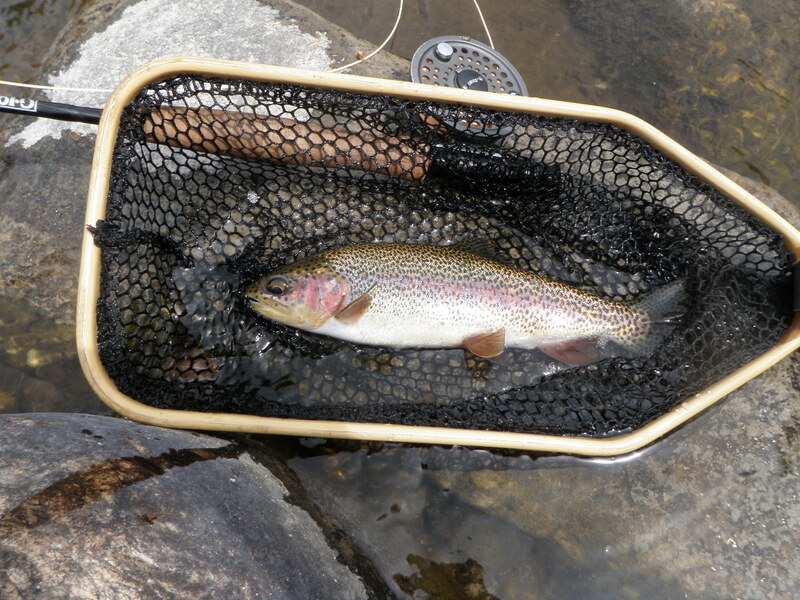 Even more so than Thursday, my success was limited to slack water with three feet of depth or more. Most of this water was along the bank. 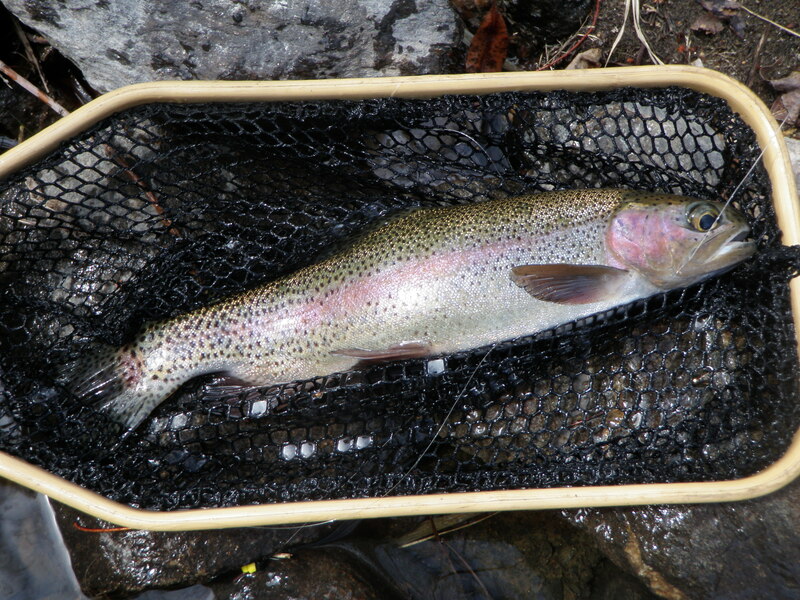 I rock hopped the roadside bank and picked up five total trout on the BHPT. All were rainbows except for one brown. I wasn’t getting any action on the hopper so I switched that out to a Chernobyl ant for better flotation. After a slow spell of roughly half an hour with no fish, I removed the BHPT and tied on a beadhead hares ear as the dropper. This worked quite well, and I landed an additional three rainbows in the last hour. Two of these were quite nice fish in the 13-14 inch range, and I caught them in the tails of some deep pools in the center of the stream. Jane and I decided to call it a day around 3:30 and headed back to Denver. With work light and forecast of temperatures in the 60’s, I decided to try another day of fishing. 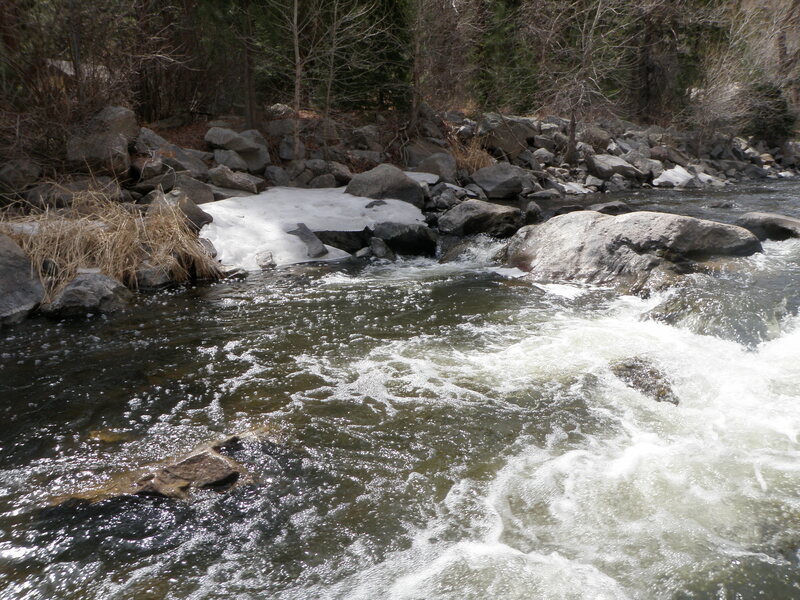 I read the various reports, and the Big Thompson sounded like the least affected by the low elevation snowmelt continuing from the late March early April snowstorms. I purposely started late since I knew it would be late morning/early afternoon before the air temperature and water temperature would allow the trout to become active. I drove to the downstream border of the catch and release area below Lake Estes and arrived around 11:30 AM. I ate my lunch and then began fishing above the bridge that marks the catch and release border. I tied on a yellow Letort hopper and trailed a beadhead pheasant tail nymph and then a light olive beadhead midge larva. I fished for a half hour or so before catching my first fish, a small rainbow. My losing streak of three outings without a fish was over! I attempted to photograph the rainbow, but it got off the hook while in the net as I tried to position for a photo. 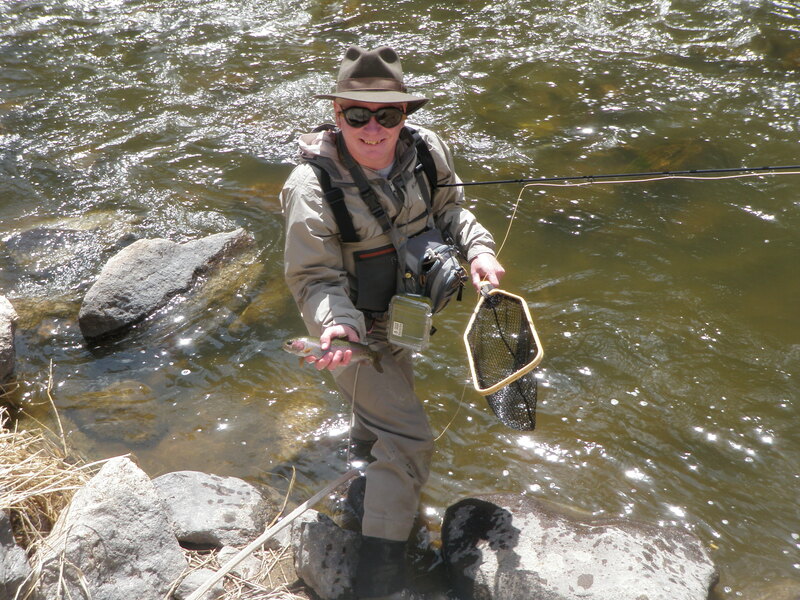 I continued prospecting the water picking up fish on a fairly regular basis, although numerous casts were required to attractive water to get hookups. The fish were definitely somewhat lethargic. Around 1PM I switched the midge larva out for a beadhead RS2. 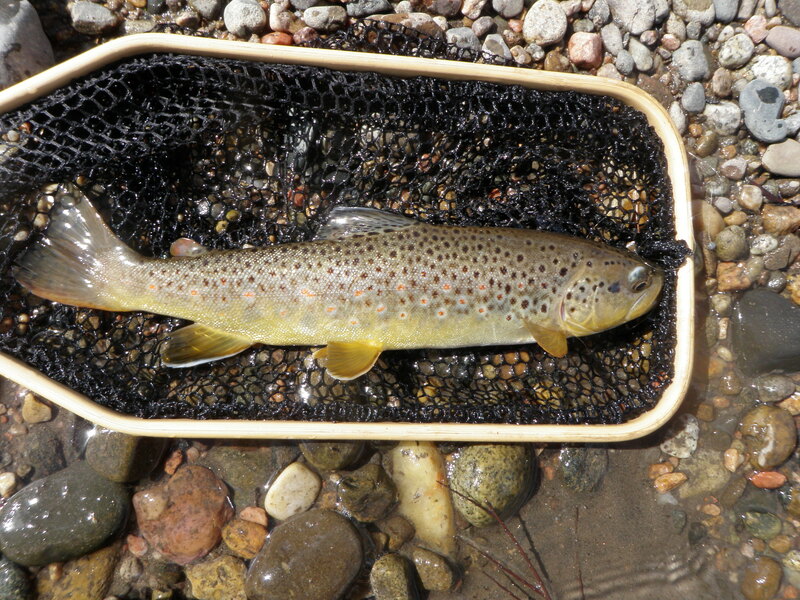 The reports I read said there were BWO hatches in mid to late afternoon in the lower to middle canyon on overcast calm days. I was covering my bases. The third fly continued to cause tangles if I didn’t pause long enough on my backcast to allow the flies to straighten, so I removed and fished the hopper/BHPT combination. This proved to be a smart move as it eliminated wasted time spent untangling flies and didn’t impact my catch rate. I discovered that most of my catches were along the bank opposite the road and in slack water with depth of 3-4 feet. Of the eleven trout I landed, approximately four took the hopper and the remainder sucked in the pheasant tail. I hooked up temporarily on an additional 4-5 fish and had several refusals on the hopper, so the fish were definitely looking up. The best action occurred between 1-3, and it was quite slow in the last hour. A BWO hatch never materialized, although the sky was largely bright blue and cloudless. I’m guessing I caught 4 browns and 7 rainbows. The forecast called for temperatures in the 70’s, so I decided to give the South Platte another chance. 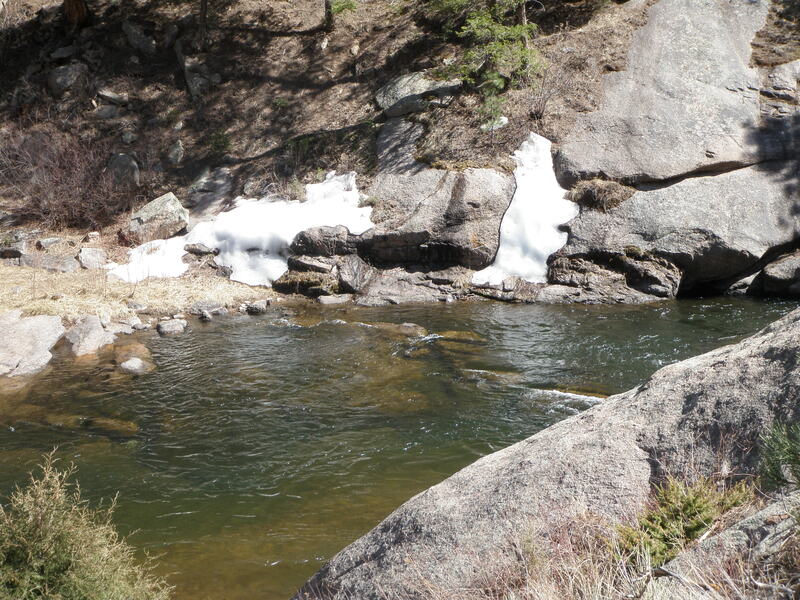 As I drove up Jarre Canyon towards the South Platte I noticed a significant amount of remaining snow on the hillsides and feared the river would be muddied by low elevation snow melt. When I reached the river below Nighthawk, my fears were realized. The river was flowing green-brown with minimal visibility. I decided to drive to Deckers and check out the water above Horse Creek. Sure enough, Horse Creek was feeding turbid water into the main river, and the South Platte was crystal clear above the tributary. 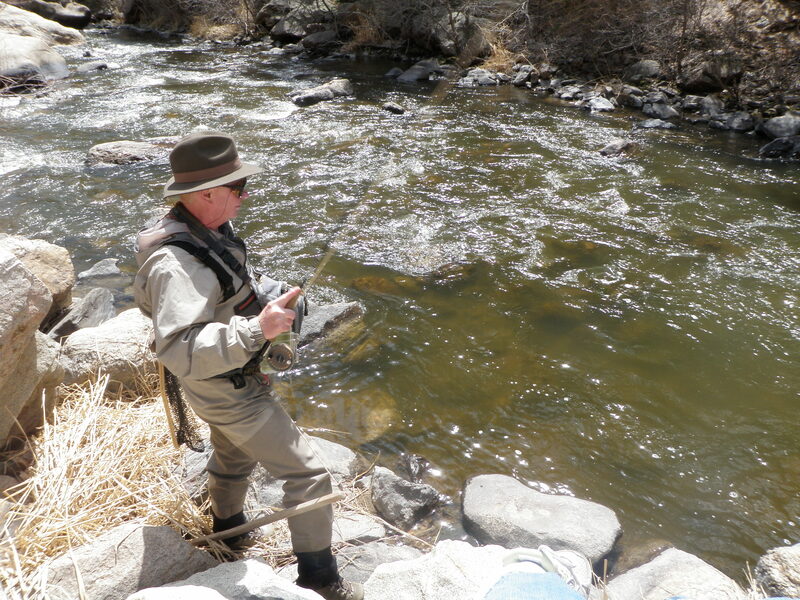 There were quite a few fishermen in the stretch above the bridge, so I decided to hike into Cheesman Canyon. 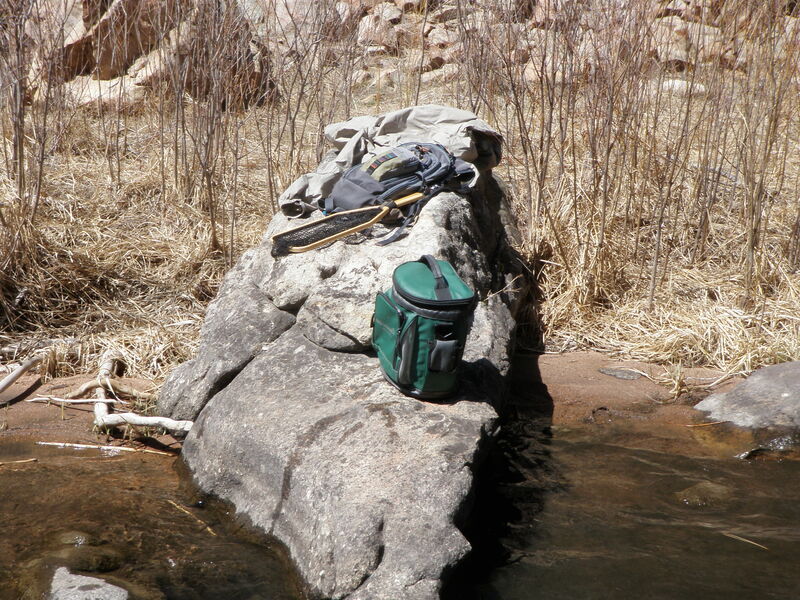 I parked at the Wigwam parking area and put on my waders and hiked to the canyon holding my rod and lunch box. I hiked in quite a ways to get above the many fishermen on the lower water. I finally stopped at a nice spot above the second 90 degree bend after Cow Crossing. I tied on a yellow Letort hopper and trailed a beadhead RS2 and then a brown bead midge larva. I noticed occasional midges fluttering over the water. 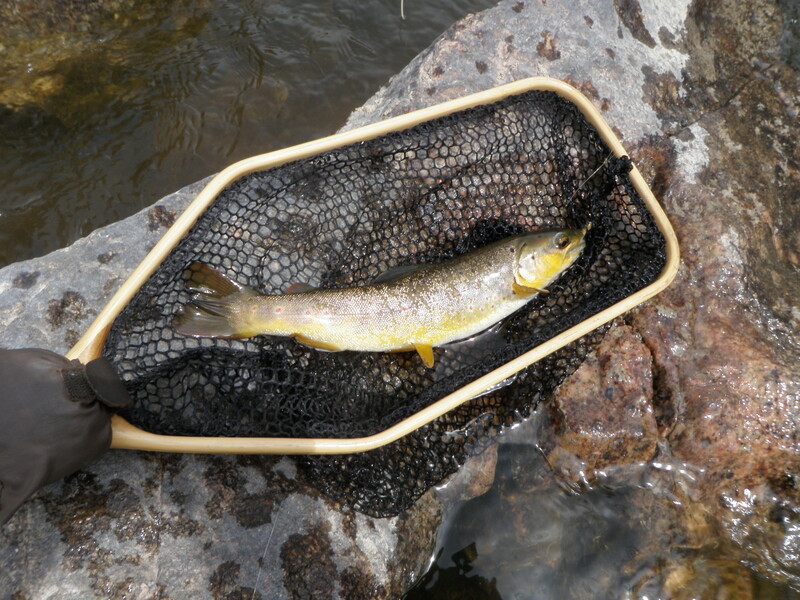 I fished up the river in some nice juicy runs, but had no success and didn’t spot any fish. I got to some nice deep runs, so switched to a nymph set up with strike indicator and beadhead hares ear and beadhead RS2. This also didn’t bring any action, so I returned to a long rock next to the river and had my lunch. While eating lunch at around 12:30 I observed a sparse emergence of BWO’s. I also hiked up the bank a bit for a high vantage point and thought I spotted a trout holding in a pool close to the opposite bank. After lunch I waded ¾ of the way across the pool to the far side where I’d seen the fish and ran my nymphs through the area, but no take. I continued working my way up the river for quite a distance switching between deep nymphs and hopper/dropper. Finally between 2 and 2:30 I spotted 5 to 6 fish holding in a nice pool near the left bank. I tied on a CDC olive and trailed a non-beadhead BWO nymph, but could not attract any of the observed fish. Eventually I hooked a branch along the edge and disturbed the pool after dislodging the fly. 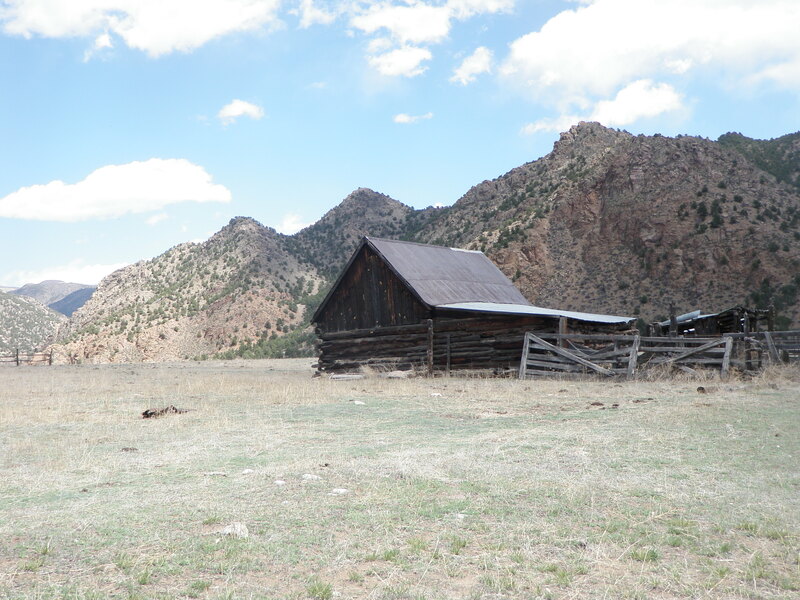 I decided to call it quits since I had a long hike back out of the canyon and a drive back to Denver.